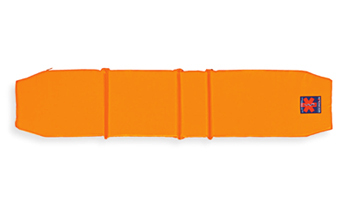 Here comes the new Carrera, a wholesome and solid stretcher, able to rewrite the parameters of excellence for its category. No one before has ever given such care and attention to technological innovation and exploitation of space. 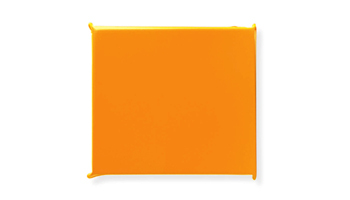 No other cot has a design as harmonious and no other cot is able to contain a spinal board. 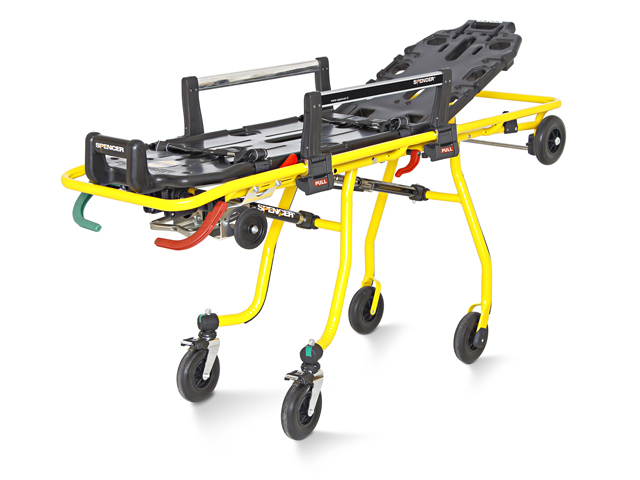 Two versions, tall and short, designed, developed and constructed entirely in Europe to satisfy all the needs of those who in the rescue field, are used to high standards. 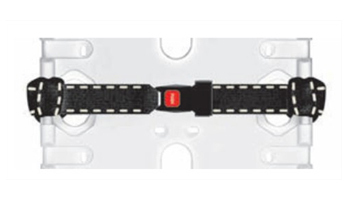 The Carrera stretcher is supplied with two straps model STX 702. 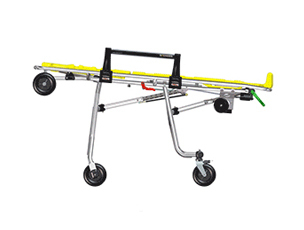 There is an innovative suspension system in the newly designed posterior legs, able to reduce vibrations and noises caused by uneven ground, before they are transmitted to the patient. 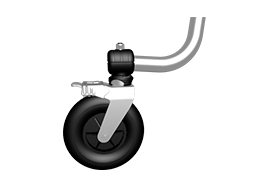 Consequently, it is possible to achieve larger stability, more precise steering and smooth transportation, even on rough ground. The system is not an expensive optional feature, but a standard for the whole range. 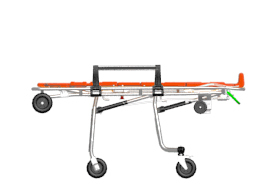 The loading level adjustment has been upgraded and also set as a standard feature on all Carreras, so that you can adapt them to any kind of ambulance. Simplicity and constructive perfection have achieved new and significant levels. Spencer's range has never been so ample. It is possible to choose several models: Tec, Activ and Pro. Each model has its own character, style and performance. 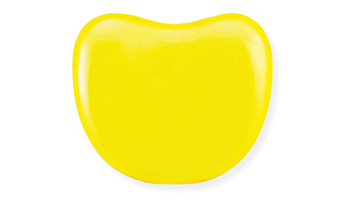 The initial approach to the Carrera family starts with the very light weight, epoxy powder varnished Tec. 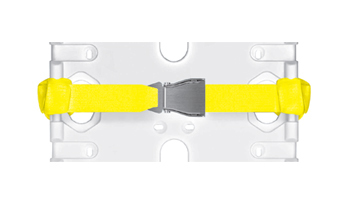 Carrera Activ combines lightness and the possibility of shortening the length. 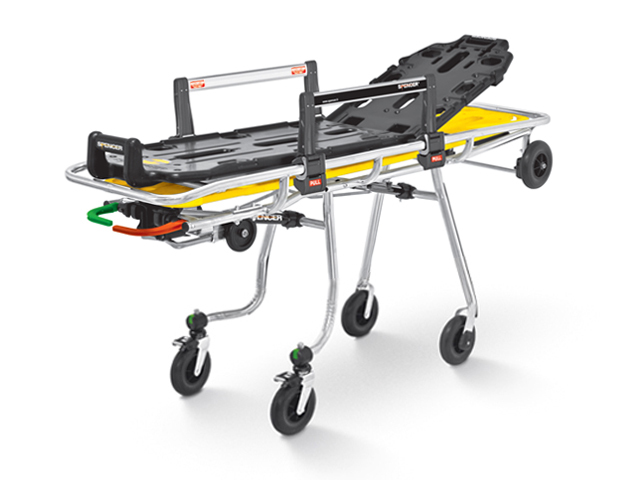 The extreme expression of integral rescue is represented in the Pro version that can contain a spine board. 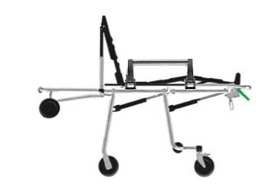 Every model, characterised by excellent stability and exclusive self effect is available in two different heights, different configurations of the loading platform and the exclusive Twist system. The force of a project is its ability to originally produce a wider range of variants. 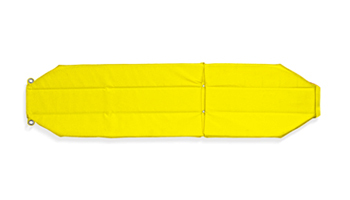 The starting models of the roll-in cot Carrera Tec offers safety, lightness and elevated comfort. 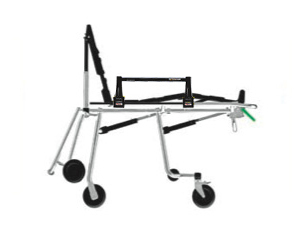 The version with trolley for incubator is also available. The Activ models are designed to assure elevated standards of comfort and authentic dynamism. 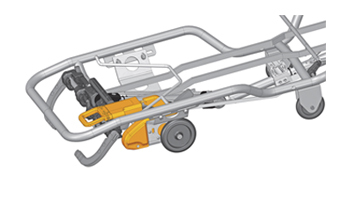 The shortening of the front part is achieved in one swift movement and optimises the manoeuvrability of the cot. 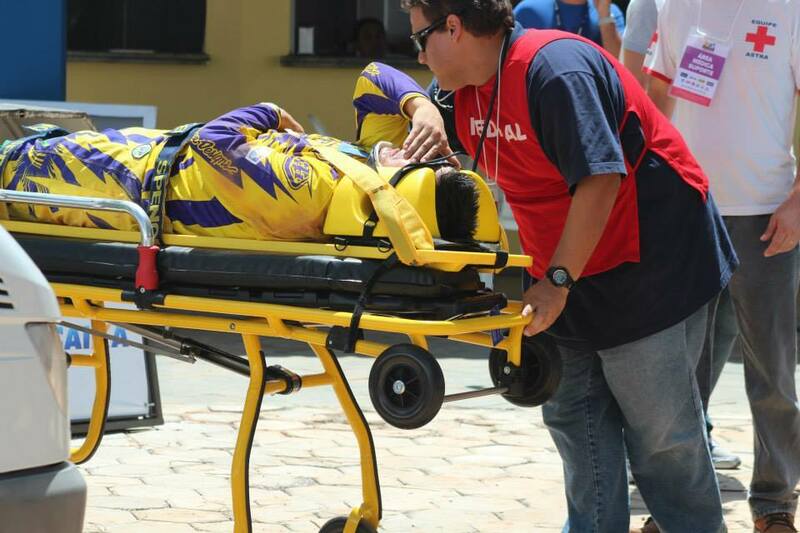 In international rescue scenes the spine board has become an essential element. 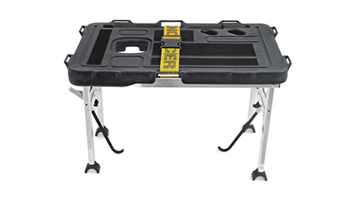 Carrera Pro is ready to welcome the spine board into the space under the loading surface of the stretcher. Fixation is practical and is achieved when pressure is applied. 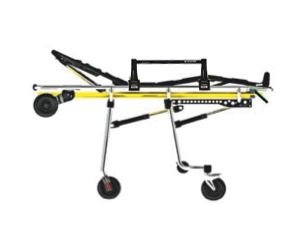 In addition to the Tec version, Carrera Tec XL has a larger frame which allows the operator to work without any hindrance and offers the patient additional comfort. 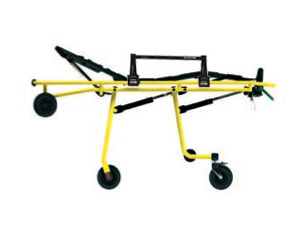 The XL Max version is ideal for the transport of bariatric patients its increased loading weight of 250 kg. 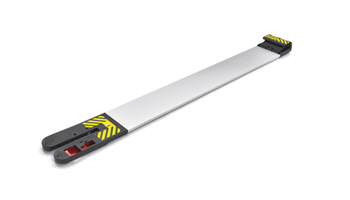 If necessary the Carrera Activ can be shortened to guarantee good manageability in limited spaces or small lifts. 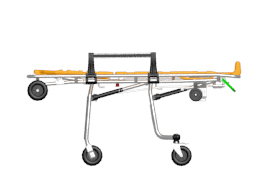 The trolley system at the front can rotate upwards (automatic blocking system), acting hence as a bumper to protect the patient from bumps when the stretcher hits a wall, or moves downwards.